Drifting down a cool mountain river on a tube is the perfect way to relax on a hot summer day! 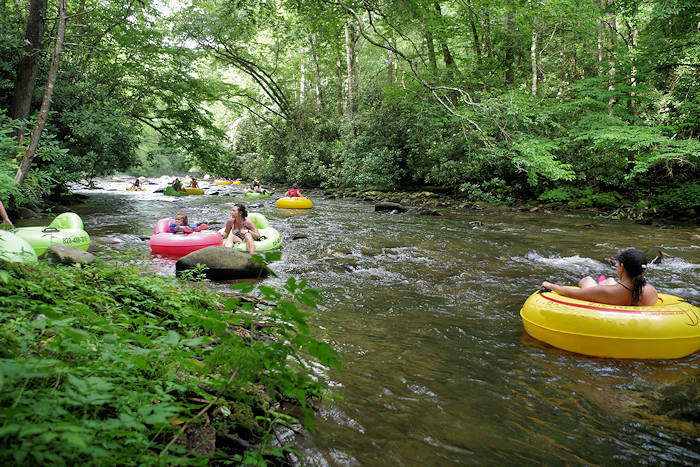 We have some great tubing places in the North Carolina mountains near Asheville, ranging from a pristine creek in the Great Smoky Mountains to convenient trips in the city on the French Broad River. Deep Creek in the Great Smoky Mountains National Park (photo at top), located near Bryson City, is the most popular place for river tubing. You can rent a tube at several businesses just outside the park boundary on Deep Creek Road as you drive from downtown Bryson City. Find a national park campground and picnic area. To begin your drift down the creek and by Tom Branch Falls, you'll have to walk a trail to a variety of put-in spots. The upper section has bigger rapids - begin near Indian Creek Falls. The lower section is more shallow and easygoing for all ages. See our Deep Creek Guide for many details. 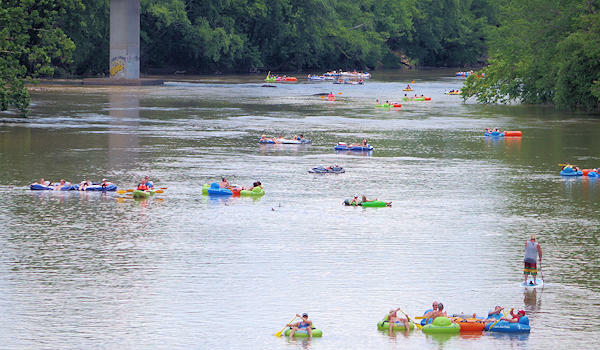 French Broad River: On hot summer days, see hundreds of colorful floats drifting down the river through the middle of Asheville. 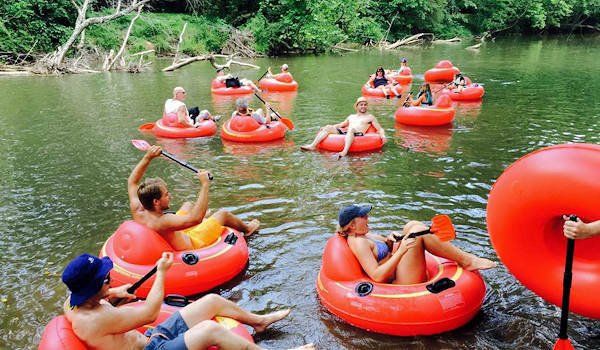 French Broad Outfitters is our top pick for tube rentals and shuttles in town. Start at their location in the River Arts District and drift the slow flowing river four miles to their other location just a couple of miles north of downtown. It usually takes about three hours, so bring water and sunscreen! Tubing is dependent on water levels of the river, so check with them for current conditions. Read more about French Broad Outfitters. For a quieter spot on the river south of Asheville, head to Lazy Otter Outfitters for a four-mile float. Green River: Ride the gentle rapids of the Green River through lush forest of the Green River Gorge near Saluda. 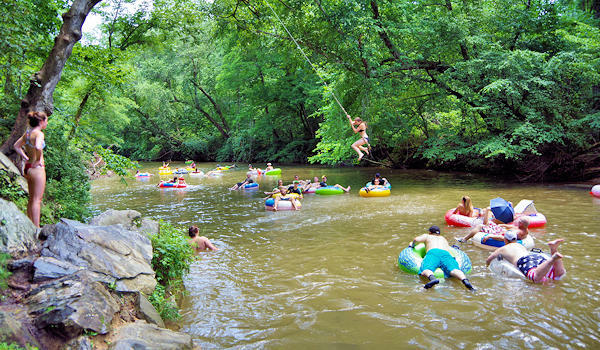 Wilderness Cove Tubing (3772 Green River Cove Road) is open seven days a week from Memorial Day to Labor Day. The river is dam released, so they schedule tubing times with the best water level. Rent a tube (includes a shuttle) from $9/person for a 1-6 mile float. Read more about the Green River Gorge. 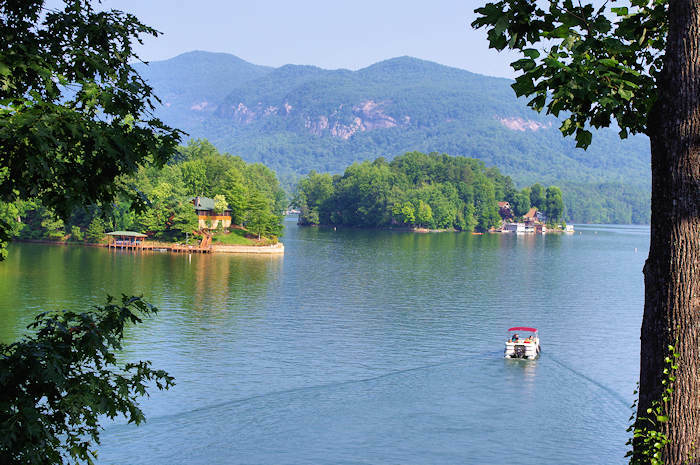 Catawba River: Located east of Asheville down in the foothills, Catawba River Outdoors in Marion provides tubes and shuttles on Thursday through Sunday during the summer. They will take you to one of two drop-offs up river. Then you float down to their riverside location, complete with a bathhouse and picnic area. Shuttles run 10 AM until 3 PM. Read more about them. Do not take any valuables with you since they could end up at the bottom of the river. If you need to take items such as keys, phone or wallet, get a waterproof container. Drink plenty of water - you can dehydrate quickly. Bring snacks. Do not bring glass containers or styrofoam coolers. Do not take alcoholic beverages on the river (it's illegal on most rivers and just not a good idea). Have your beers after you get safely back on land! Apply sunscreen several times. The French Broad River is especially sunny and you will burn quickly. Bring a hat and cheap sunglasses. Wear water shoes or old sneakers. River bottom can be rocky or muddy - so flip flops are not a good idea. Wear a life vest, especially if you or your child is not a strong swimmer. You can hit some rapids and get tossed out of the tube. For more water fun, see our Top 20 Mountain Swimming Holes near Asheville and our Sliding Rock Guide. 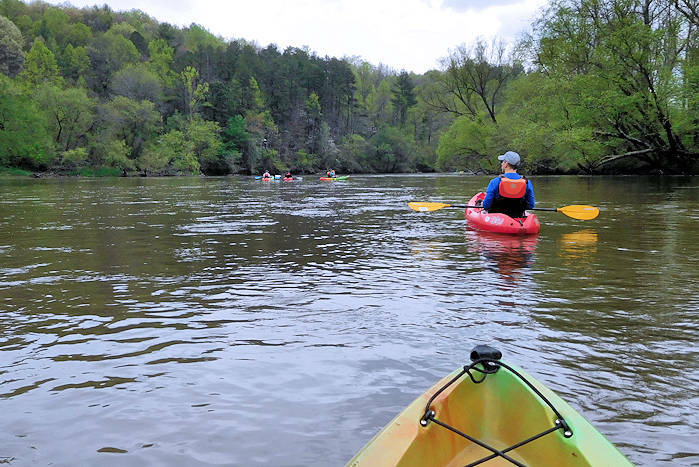 Kayak, canoe, tube or paddleboard down the river through Asheville. Start your trip near downtown at the area's largest paddle shop - with shuttle service, rentals, camping gear, disc golf supplies and more. Three locations along the French Broad River. Located a little south of Asheville is one of the prettiest stretches of the French Broad River, away from the crowds and highways. Take a self-guided tubing, kayaking or canoeing trip ranging from two hours to all day, including the fun Sierra Nevada Express trip that makes a post-paddle visit to the brewery easy.